comment Now open, don’t miss some of Marvel’s best loved Super Heroes brought to life in the ALL NEW Marvel Super Heroes 4D Experience! Admission to Madame Tussauds Hollywood. Experience the real glamour and elegance of Hollywood. 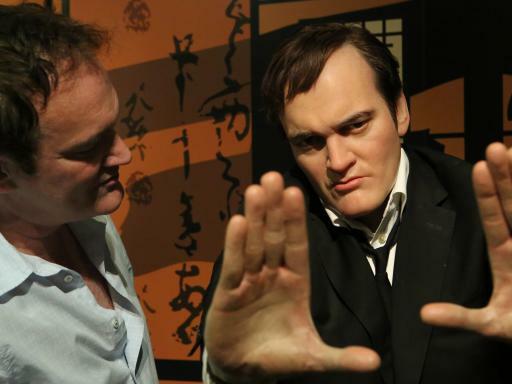 Immerse yourself in its history, culture and “meet” the famous and infamous on iconic film sets. See over 200 life-like wax figures of the world’s most fascinating celebrities and historical figures. Admission to Marvel Super Heroes 4D Experience where some of Marvel’s best loved Super Heroes are brought to life. Your adventure starts by entering the immersive Marvel zone full of your favorite super hero wax figures, including Thor, Captain America, Iron Man, Wolverine and Spiderman! Your Madame Tussauds Ticket Voucher is valid for up to 2 weeks from selected visit date allowing you to visit Madame Tussauds Hollywood on a date that best suits your holiday itinerary. “Meet” Hollywood’s celebrities under one roof! Get up close and personal with over 100 incredible life-like wax figures, step onto memorable movie blockbuster sets and be sure to bring a camera and take home the ultimate souvenir photo. 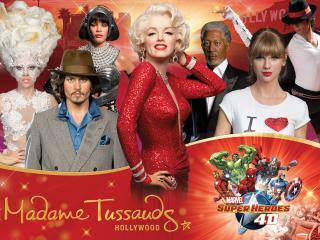 Madame Tussauds Hollywood is redefining celebrity encounters! Now open, don’t miss some of Marvel’s best loved Super Heroes brought to life in the ALL NEW Marvel Super Heroes 4D Experience! “Meet” Hollywood’s celebrities under one roof! It’s the best in quality wax attraction and premier destination located next door to the world famous TLC’s Chinese Theatre and the Hollywood Walk of Fame. Get up close and personal with over 100 incredible life-like wax figures, step onto memorable movie blockbuster sets spread over three floors and be sure to bring a camera and take home the ultimate souvenir photo. 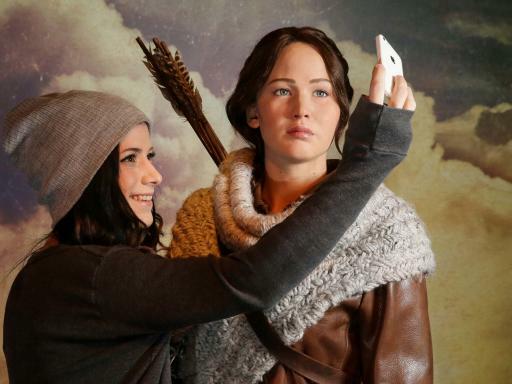 Madame Tussauds Hollywood is redefining celebrity encounters. Marvel Super Heroes 4D Experience - Some of Marvel’s best loved Super Heroes will be brought to life in the ALL NEW Marvel Super Heroes 4D Experience! Your adventure starts by entering the immersive Marvel zone full of your favorite super hero wax figures. Meet and take pictures with Thor, Captain America, Iron Man, Wolverine and Spiderman! The highlight of the experience is a fully animated 4D cinema attraction, complete with high impact special effects from water and wind to tremors, making you ‘feel’ like part of Red Carpet Arrival - Get the Hollywood star treatment when you arrive in style on the Madame Tussauds Hollywood red carpet. A-List Party - The vibe and atmosphere is electric as you make your way past the red carpet. Mingle with the A-list at the hottest celebrity party in town! Spirit of Hollywood - Step into the Spirit of Hollywood area and experience all the romance, splendor and grandeur of the golden era of cinema. Westerns - The smell of gun powder and the sounds of spurs clicking, horses neighing, and gunfights blasting alert guests to their arrival to the wild, wild West. Don’t end up in a shoot out at high noon or else your face will end up on a ‘Wanted Poster’! Crime - Enter the Crime are if you dare! The dark and sinister atmosphere is perfect for meeting The Godfather, Hannibal Lecter and other famous gangsters and criminals. Modern Classics - Capture some of the greatest movie moments from contemporary cinema in our energetic and exciting ‘Modern Classics’ era. Making Movies - It’s a backstage pass like never before when guests get the chance to take a tour around the studio back lot to see what goes behind-the-scenes and meet their favorite stars hard at work. Sports - The air is electric and the mood is frenetic as guests make their way into the sports pavilion to meet some of the most famous athletes in the sports world. Action Heroes - Step into the futuristic, thrilling zone complete with cutting-edge graphics, dramatic lighting and sound effects that define Hollywood’s top grossing film genre – the action movie. 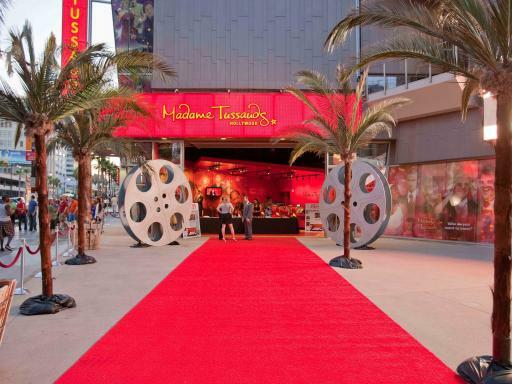 Departure Location: Madame Tussauds Hollywood is located in the heart of Hollywood, next door to the world famous TLC’s Chinese Theatre on Hollywood Boulevard. Duration: Allow at least 1.5 hours to see all of the exhibits. Start Times: Open 364 days a year at 10.00am; closed on the day of the Oscars. 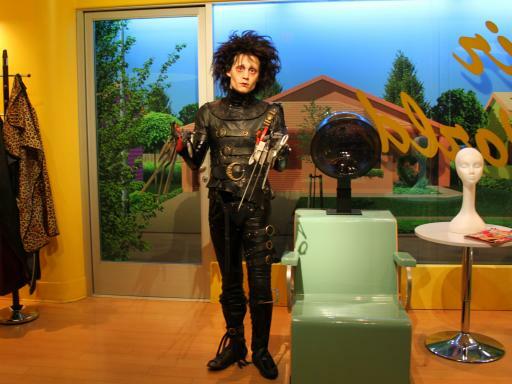 Exhibits and individual waxwork figures can be withdrawn at any time without notice. No advance reservations are required. You will be sent an open-dated Madame Tussauds San Francisco Admission voucher, allowing you to redeem your ticket on the date/time that best suits your itinerary. Please note photo ID is required to collect your tickets. A child is between 4 and 12 years of age. Guests under 13 years old must be accompanied by an adult. Our guide to the things that visitors to Venice Beach, California should see and do.